When you want to do volunteer work you want to have cheap but pleasant accommodation. You also need some company. 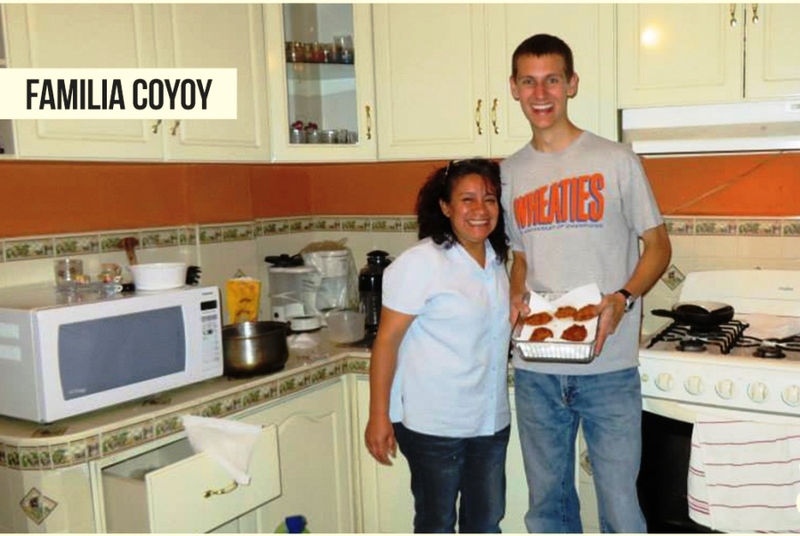 Sharing a room in a Spanish school is a good option for instance in Costa Rica, Panama or Montanita in Ecuador during your volunteer work. Or staying with a guest family where your meals are included. Good and cheap options in Peru, Guatemala and Nicaragua. It`s not necessary that all meals are included. You probably won`t eat your lunch at your family`s place when you work anyway! We believe somewhere in the middle is correct. Typically, projects can`t offer you room and board for your work because if they could, they also could pay a local to work that would cost the same more or less. And believe it or not in general local workers are preferred over foreigners because there is no language barrier and they tend to fit better in the culture of the project. Paying high sums to be able to work is not necessary and an abuse. Of course projects need money, with more money more work can be done but in general when you pay a high sum most of it will end up in the pocket of the tour operator who sells you the work. There still exists volunteer work free of charge, just look around on internet or ask us. Do you need to rserve it a half year ahead? Talking about the Inca Trail is confusing. There are many different Inca trails and `the Inca trail` does not exist or better said: it`s not clear which one you are talking about. There are hikes to the Machu Picchu of 2 or 4 days. Besides there are different routes of the trails all leading to the Machu Picchu. 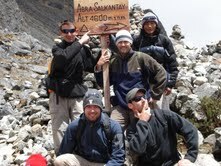 There are daily only 500 people accepted on the trails and this sum includes the porters and guides! The whole month of February the trails are closed due to maintenance work besides they chose the month well, it`s rainy season in February! Jungle Inca Trail, 4 days: US$ 300 Here you have a day of mountain biking included instead of walking. And yes you`d better reserve 4 to 5 months ahead because the trails tend to be full especially in high season that’s from mid December till end of January and around July / August. Ask us if you want more information just ask we also can book the hikes for you. Ecuador is a very interesting Latin American country. Perhaps a bit less known as her bigger brothers Peru and Argentina but this small country has much to offer and is a lot cheaper than other countries on the continent. It has Amazon jungle, Andean highlands with volcanoes, colorful Indian markets and stunning beaches. Perfect locations for the active, nature loving traveler. Quito is a very interesting capital city with a new and old part. I can spend hours walking in the old center of Quito with all her churches, cathedrals and museums. There are not many interesting capital cities in Latin America but Quito Ecuador is definitely one of them. According to many people other interesting Latin American capitals are: Mexico City and Buenos Aires. So the advantage of Ecuador is that you don`t need to travel for days to experience total different climates, nature or cultural zones. For most people climbing a volcano is one of the most memorable trips they undertake while travelling around Latin America. Choose Guatemala and you`ll have 30 volcanoes to pick from! 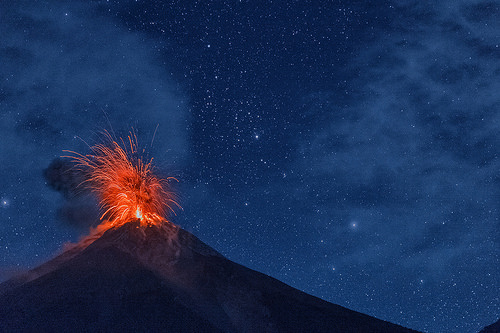 You should not climb any of these volcanoes without a guide. The paths are often not clear, you can easily get lost. If you don’t want to take an organized tour you can go to the village where the trail starts and hire a local guide. But they only speak Spanish! Make sure you have good hiking shoes and bring enough water. Don’t underestimate the weather. You might think it is always warm and sunny in Central America (which it is most of the time), when you get higher up it will be very windy and cold. For most volcano hikes it will be enough to bring a fleece jacket. But if you do an overnight camping trip to Acatenango, temperatures can drop to freezing point. You will need gloves, a thick jacket and a hat. When you are traveling you don’t want to carry all that gear around, since you probably won’t need a coat when your next destination is the beach. It might be a good idea to go to a second hand clothes market (there are a lot in Guatemala), the clothes on these markets are really cheap and afterwards you can leave them behind for other travelers or give them to a local. Located about one hour driving from Antigua. Day tours are offered everywhere in Antigua leaving at 6 am and 2 pm. The hike itself is about two hours up. First you hike through forest with great views along the way. When the forest ends you will be walking on an almost moon like landscape of dried up volcanic stone and ash. Although this is an active volcano, it is dormant at the moment, it is too dangerous to go all the way to the crater but towards the top there will be some holes with steam coming out, where you can roast marshmallows. About one hour drive from Antigua. In Antigua you can arrange one day hikes as well as overnight camping tours. A very tough climb, 5 to 6 hours up, but definitely worth it because this volcano is right next to an active volcano called Fuego. Especially if you take the overnight tour you are almost guaranteed to see some lava and a beautiful sunset and sunrise. If you take the overnight tour go with a reputable company, even if you pay a bit more, so you can be sure they have good camping gear (tents and mattresses etc.). This is a hike leaving from the village of San Pedro at the shore of Lake Atitlan. This is also a tough climb, the hike up takes about 4-5 hours. You will walk through forest, but higher up you get to see amazing views of the lake! This is usually a one day hike, that starts really early in the morning. Tours can be arranged in the village of San Pedro La Laguna. Do you have any experience hiking volcanoes in Guatemala? What did you think? Which are the best ones? Before travelling or starting your Spanish course in Latin America, you will probably try to learn some Spanish at home. But we also understand life can get very busy, so it’s possible you get off the plane without even knowing how to order a beer. You might get by using English. However, in most areas in Latin America Spanish is the only language spoken. It`s always appreciated by the local population if you at least know some words in Spanish! Some Spanish phrases to get you started. The first greeting is always important to break the ice. Depending on the time of day you can say buenos días (good morning), buenas tardes (good afternoon) or buenas noches (good evening and good night). What if you want to ask somebody how they are doing? You can say cómo está? It is also very common to hear qué tal? which means the same. The answer will always be: Bien y usted? (Good and you?) like in American English. 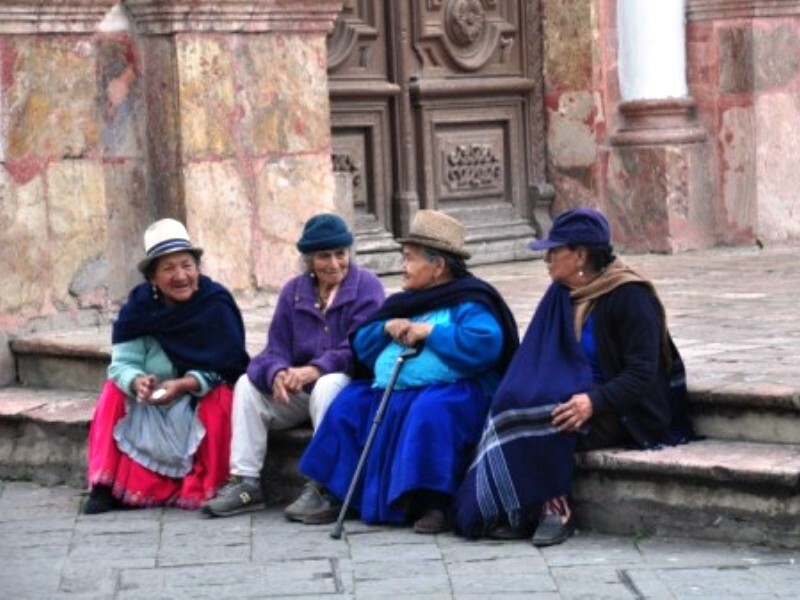 When you travel in Latin America you will find the locals to be very friendly and sincerely interested in getting to know you. The first thing people will probably ask you is where you are from, they will say: de dónde eres? You can respond with Soy de [your country]. Being polite gets you a long way. So just in case you bump in to someone it is always useful if you can say you’re sorry, in Spanish: disculpe. Or you can also use this word to get someone’s attention or to pass a person on a busy street. In this last case you can also say con permiso, which literally means with your permission, but is used like `excuse me`. Whether you go to the local market, supermarket or ‘ tienda’ (small shop), most products will not be priced. To ask for the price of an item you can say cuánto cuesta? If you don’t know the basic numbers yet, bring a piece of paper and a pen with you and ask people to write it down for you. You don’t bargain in the super market, but at the local market you can ask es lo menos? With that phrase you can politely ask if there is room for bargaining, and you will come across like a local (or at least get you a smile from the shop owner)! These are just a couple of words and useful Spanish phrases you will be using when first travelling around Latin America. Of course if you take classes you will be talking a lot more in no time. What do you think are useful Spanish phrases you absolutely need to know travelling in Latin America? Let us know in a comment. When you travel between countries in South and Central America crossing borders is just one of the hassles you have to deal with. 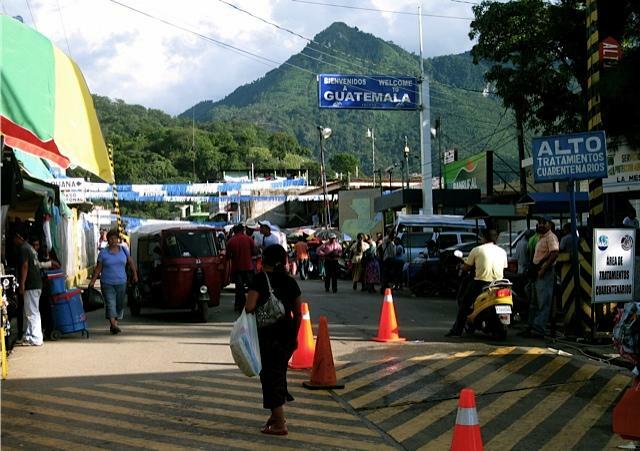 Crossing borders Central America can be a daunting experience. Nobody speaks English, confusing signs, no helpful border personnel and other travelers who are as lost and confused as you are. When you cross a border you typically get a `90-day-stamp` in your passport, this functions as an entering Visa with a stay of a maximum of 90 days. However you should always check beforehand if you need a visa, depending on the country you are from. For example Cuba still requires official visas. TIP: You can get really good information on Wikipedia https://www.wikipedia.org/, searching for “visa requirements for” followed by your nationality. Also, the countries Guatemala, El Salvador, Honduras and Nicaragua (called the CA-4) count as one for your 90 day stamp (unfortunately this does not make you exempt from the border fees travelling between these countries). Once you get off the bus you will be immediately surrounded by money exchangers who can get pretty obnoxious. But relax. First of all you don’t have to use their service, use a simple ‘no gracias’ and walk away. However be aware that in general you cannot exchange the currency from one Central American country in one of the other countries, so it might be a good idea to exchange whatever you have left at the border. Try to get to know the exchange rate before you leave. Use for instance www.xe.com. Have your passport and other documents ready with you (not in your big bag) and try to bring a pen with you. Most of the time there is some form to fill out and it is just easier if you have a pen with you. Most of the borders in Central America are set up with a small immigration office of one country on the side of the road, you then walk a bit further up the same road and go to the immigration office of the other country. Sometimes you can leave your bags in the bus but this is not always aloud and not always a good idea. When you are in a bus crossing borders ask the driver if he stays at the bus. Try to get information about the border fees before you leave for your next destination. That way you won’t be surprised. Always have a small amount of dollars with you. The fees you have to pay crossing borders in Central America are rarely more than a few dollars (exception: Belize!). Stay polite and relaxed. Sometimes it feels that the border officers are in a continuously bad mood and just trying to be as unfriendly as they possibly can. Try not to take it personal! Let us know in a comment if you have any interesting experiences crossing borders in Central America.